As time “springs ahead,” so does our workload. Many of you at home are starting to think about your home gardens and flower beds. 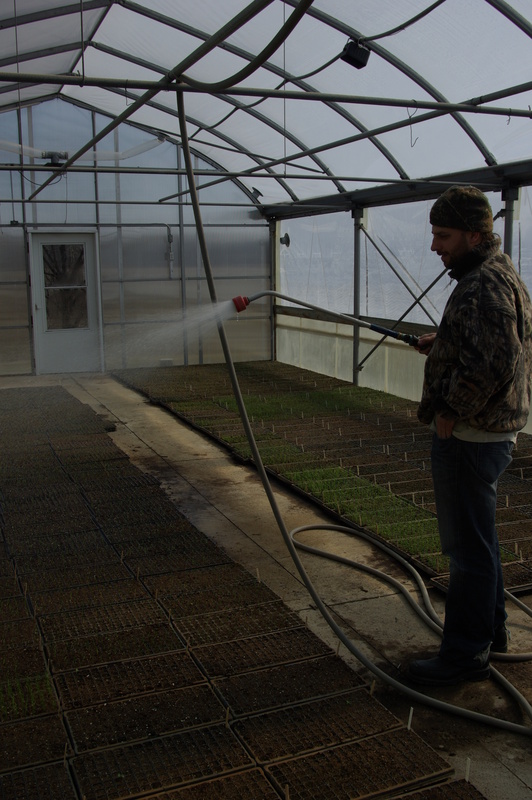 At Wayward Seed, we’re thinking about the first time our tractor will hit the field for the 2011 season. But until then, we’re thankful for our last few days of rest. W e’ve worked hard on the 2011 farm plan this winter, and it’s hard to believe we’ve been farming for six weeks. Since early February, we’ve started onions, leeks, herbs, and lettuce (to name a few) in the greenhouse. Our goal for mid-June is to start CSA and market season with a colorful selection including a few new varieties. It’s official–we have completed our application for USDA organic certification. Thirty-one pages later and we’re prepared for our inspection by Ohio Ecological Food & Farm Association. While we’ve debated the process for years (and with lots of you, our CSA members), a good friend recently told us, “It made me a better farmer.” Is there a better testament to organic certification than that?! Although it’s our first year to be certified organic, our fertility program for the past few years has been paying off. The results of this year’s soil test show that the organic content in our soil is even higher than we thought. We expect good moisture retention and soil nutrition for our plants this season. We’ll take a break from all our work on Monday March 21st for the first Central Ohio Food Forum. We hope you’ll join us at Wild Goose Creative from 5:30pm to 8:00pm for a candid discussion with farmers, gardeners, grocers, and cooks of all kinds about the future of food in our region. We’re counting on your participation–more perspectives improve our view of the landscape.